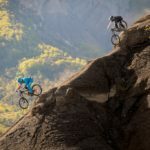 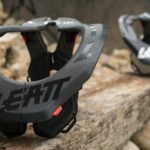 The inventors of the Leatt-Brace® just launched a brand new 3DF 6.0 Knee Guard as part of their 2018 line. 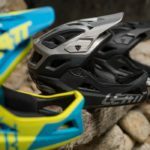 It’s purposely-designed to combine the best of both worlds: a classic soft protection construction covered by two hard shell sliders. 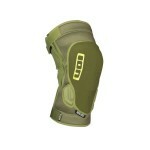 One main hard shell slider covers the upper shin / kneecap, followed by an additional hard shell slider along the top of the kneecap. 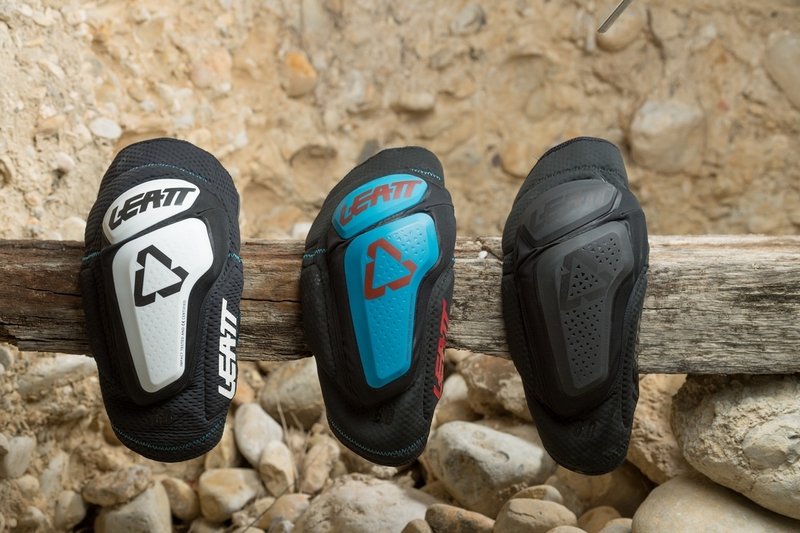 Leatt’s 3DF-foam is designed to take care by dampening all the hard knocks, you have in store for it. 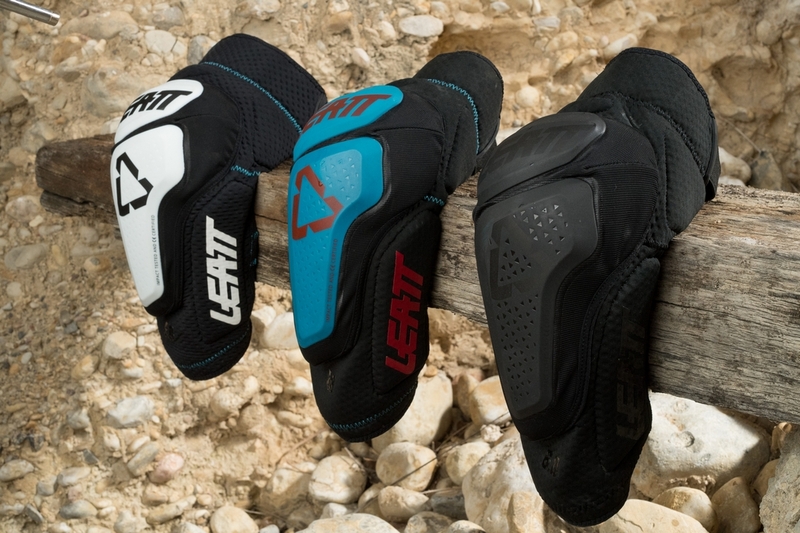 It has been used within Leatt’s soft protectors for many years. 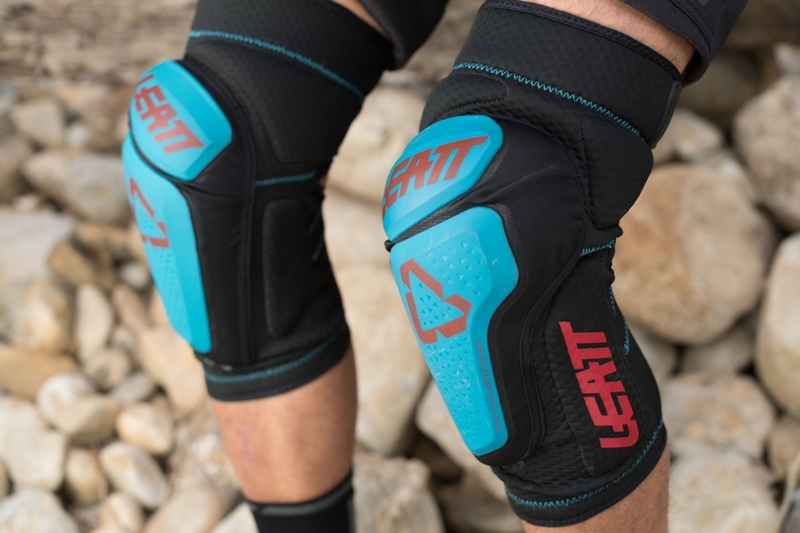 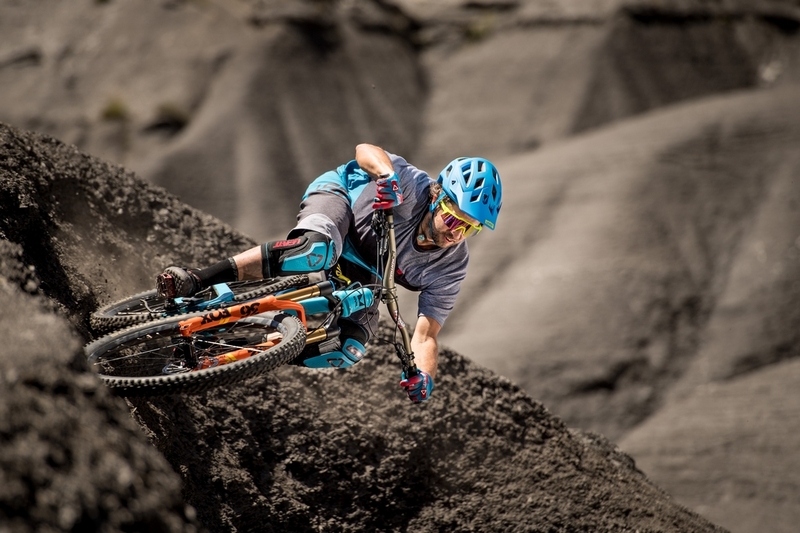 It is said to improve sliding characteristics on rough terrain massively, so the impact forces are reduced, and the knee guard does not slip during crashes. 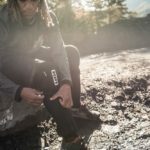 The DBX 6.0 knee guard continues to be pedaling-friendly (split / two hard caps), offering sufficient ventilation due to the new thoroughly perforated main fabric at the front and very breathable mesh at the back. 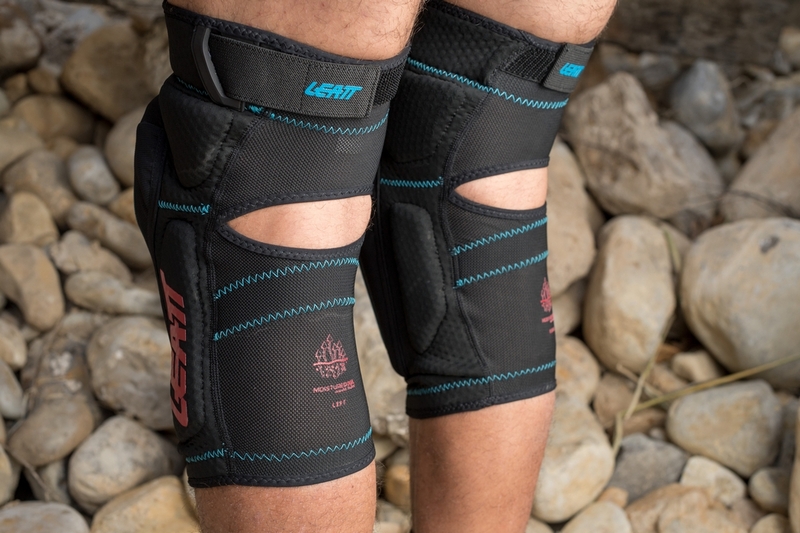 There is one Velcro strap at the thigh with a silicone grip lining on the interior, as well as an anti-slip band located at the top of the calf, guaranteeing a solid fit. 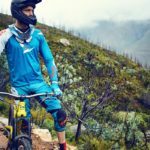 This enables a classic, snug pre-curved fit that ticks the comfort boxes, with proven 3DF main padding, adding the advantages of hardcap protectors. 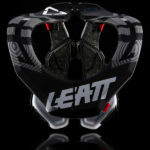 Now available, in three colorways: black/white, black/blue(fuel) to all-black, for 99,99€ / 86,99£. 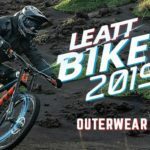 And of course can also be worn under DH-pants, the hard caps also helping the pant fabric to slide easier over.